Ballinteer Community School have developed a wonderful relationship with CRH. They are working with our students in preparation for life after school by helping create the skills necessary for future readiness - communication, creativity, critical thinking and collaboration. This is an initiative that has been established with our College For Every Student Programme. The wonderful staff of CRH volunteered their time to work with our 2nd, TY and 5th year students. 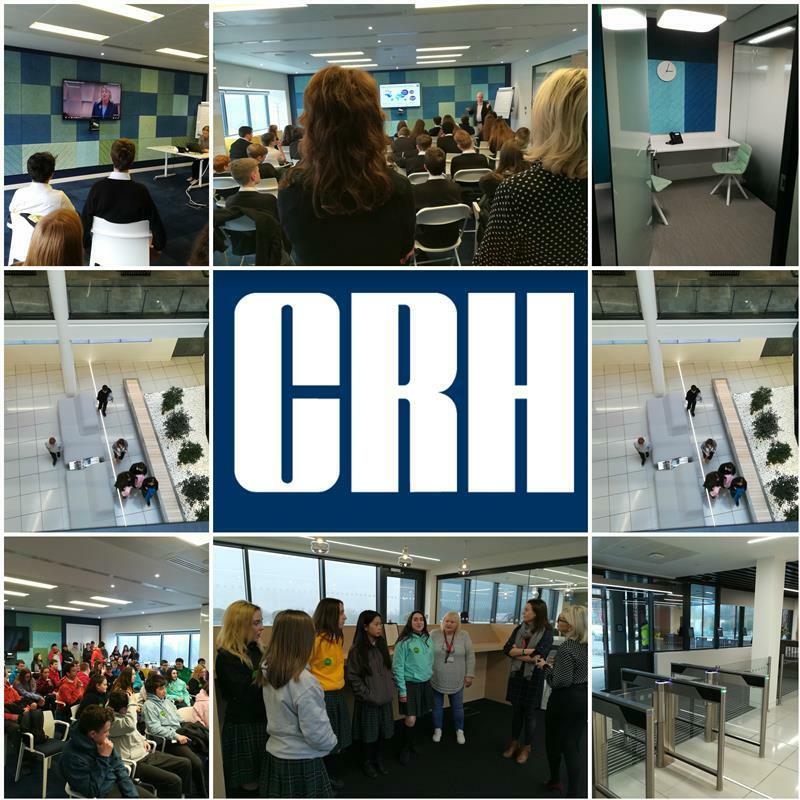 Our 2nd Year Trinity Access 21 and CFES Brilliant Pathways students were treated to an amazing campus visit showing the career pathways that are open to them in a multi-national company like CRH plc. They were also given hoodies and wonderful gift bags filled with treats to help them with their studies. Quote of the day 'What do I have to do in school to work in a place like this?' It really was a wonderful inspiring and motivating afternoon. 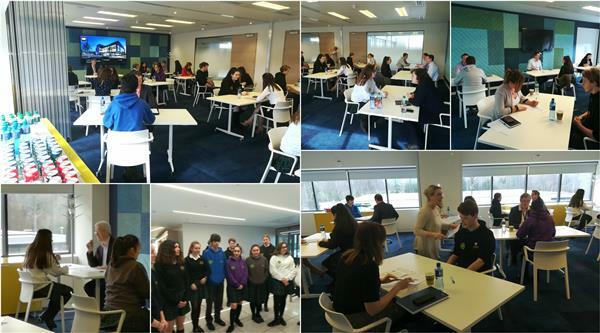 Transition Year Students were prepped with some wonderful interview and CV advice as they prepared for mock interviews which were held in the wonderful CRH campus, giving the students a real feel for a 'real-life' interview. 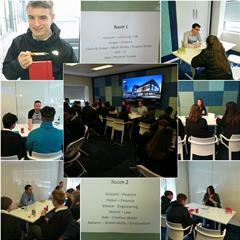 Individual feedback was given to all students which will be invaluable as they continue to prepare for their future! A speed career event with our 5th Year CFES Trinity Access 21 students gave them a wonderful and inspiring insight as they learned about the many careers that are present in CRH and the journey's that were made to get them to where they are today! Careers ranged from finance to creative writing, fitness instructor, Law and multi-media/graphic design. We would like to thank all the staff from CRH for supporting our students in Ballinteer Community School.